LOWER PRICE NOW! 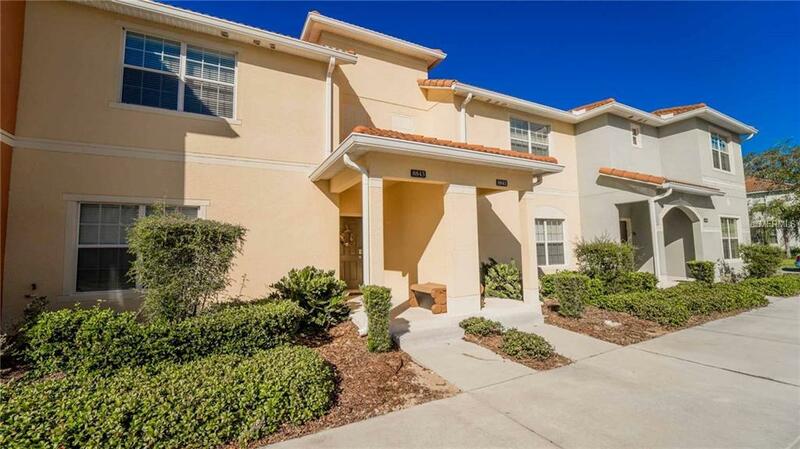 Great Opportunity to own a one of a kind townhouse inside one of the best known resort communities in the Orlando Disney area. 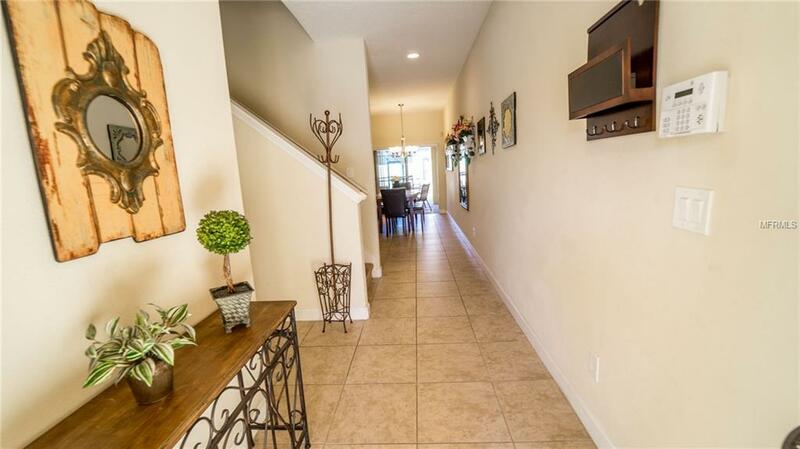 This four bedroom townhouse has the perfect for a Short Term rental program, this is a very unique home because it is one of the only homes with a front pond view and a rear pond view, this well finished home comes with a large downstairs bedroom and three bedrooms upstairs including the master bedroom. 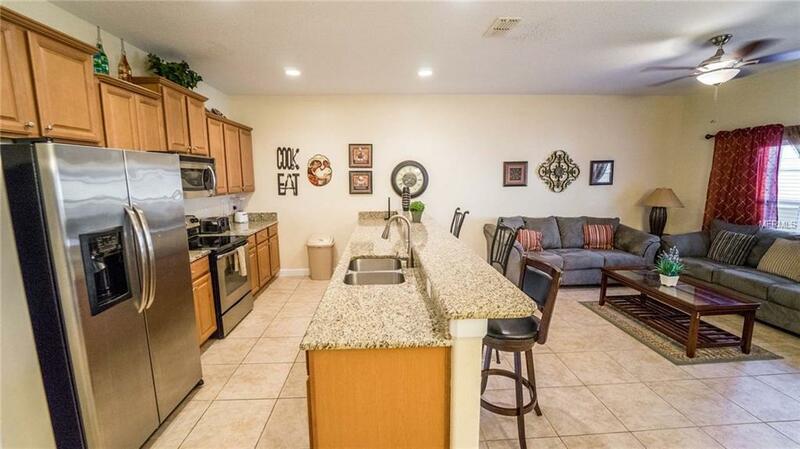 It has Tile flooring on all common areas with granite counter tops and stainless steel appliances, a big pool area great for entertaining and for family bbq. 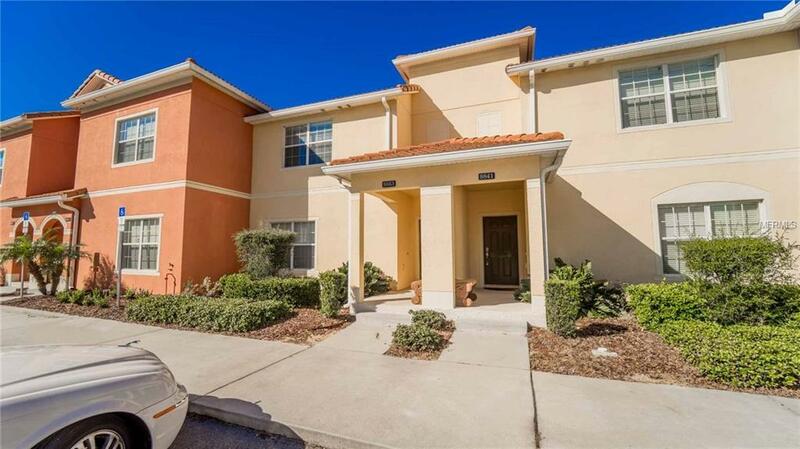 It is located inside Paradise Palms where you have access to a HUGE pool with a slide, 2 jacuzzi tubs, child's wet play area, bar, restaurant, cinema, game room, etc.. Don't miss this opportunity.